How much work is involved with retrofitting a AT309 into a boat that had a Berk 12 JG? Will the intake match up? And will the motor placement need to be changed? Any info on this would be great! The AT or SD-309 have 4 less holes than the Berkley, Some of them will line up. The pump placing in your hull is the big issue... What make and style of boat? The early jet boats had the suction housing mounted completly inside the engine bay sandwiching the bowl and mounting flange on opposing sideds of the transom. The EZ cleans on boats done like this are inboard as well. Some of the Eagle boats set up for Racing had the intake kicked back 2" as well. 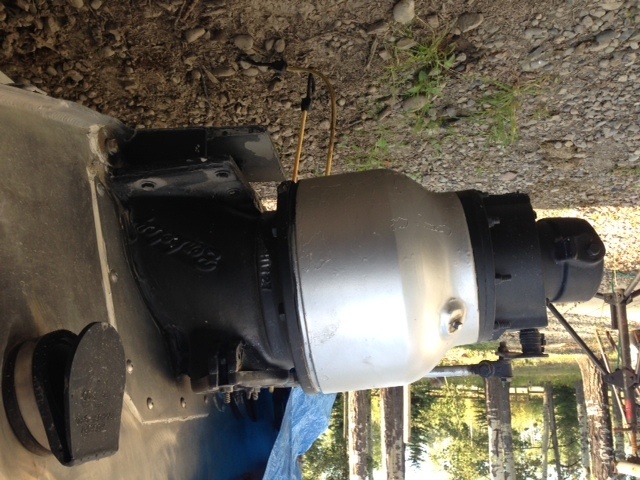 The berkley is easy to seal with a transom plate and a good bead of sicaflex. where the mounting flange on the American Turbine needs to line up with the transom. You have a couple pics? You are better off to use the dominator as the at309 has a slanted cleanout that will be harder to work around. I need to overhaul the pump, so I was curious to see if it was even realistic to upgrade to a better pump but I think I will just stick with a berkeley, I know they are a good reliable pump but if I was going to spend the money anyways I was going to see how much work it was to switch over to the AT. A nice tight 12 JG with SS B will be just fine for this boat! You may want to consider the HP bearing kit that American Turbine offers for the Berkeley pump...it is listed on their website and Bernie @Outlaw can get it for you.